Bodybuilder in studio over dark background shows his muscles. Meat vs. Vegetarian/Vegan diets: which is best for you? First off…. let’s all agree, we are not created equally…we are not the same and this is true for our food needs. 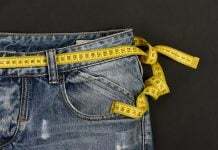 Humans are genetically designed to be omnivores, (an animal or person that eats food of both plant and animal origin) but some people choose to limit their diets. When a person is described as an omnivore, it usually means he’s willing to eat all kinds of foods and is not a vegetarian or a vegan or on some other kind of special diet. I have nothing against vegans or vegetarians. If you want to eat in this way for whatever reason and you are feeling good and improving your health, then great! However questions about its benefits proliferate—especially when competitive athletes adopt it. In the minds of many people, including some nutrition experts, athletes must consume meat and dairy products to build muscle and get into optimal condition. Felicia Stoler, a nutritionist in Holmdel, N.J., says, “It’s difficult to be a competitive athlete as a vegan, because all athletes have higher-than-normal protein and calorie needs. And animal sources of protein are complete and bio-available. Please note the word difficult… meaning not impossible but much more complex. Vegetarians are able to meet the protein intake needs with modification to their diet because they are able to consume eggs, dairy and cheese. However as a general rule, meats tend to contain more protein per serving than eggs. A large egg contains just over 6 grams of protein. A 3-ounce serving of lean ground beef has just over 18 grams of protein, and a 3-ounce serving of turkey has just over 19 grams of protein. You also need to be careful with calories… Low or Non Fat Mozzarella and Cottage Cheese provide the most protein per calorie, full fat cheeses typically only provide 1g protein per 20 calories, and are less optimal sources of protein. You can complete an intense weightlifting session without expending as much energy as you would during a long run. Endurance athletes burn more calories, so it’s harder to meet their nutrient needs. The vegan diet is high in carbohydrates and low in fats, so it will naturally support endurance performance. People feel that the plant-based nature of the diet will magically support performance, but it’s the carbs that do it. Dr. D. Enette Larson-Meyer, associate professor at the University of Wyoming and author of the book Vegetarian Sports Nutrition, concurs: “Distance athletes need [protein] for muscle repair, whereas strength athletes require it for muscle mass. You can complete an intense weightlifting session without expending as much energy as you would during a long run. Endurance athletes burn more calories, so it’s harder to meet their nutrient needs. A high quality protein, AKA complete protein, contains all eight essential amino acids. The body’s primary building block for muscle, bone, skin, hair, and many other tissues is protein. Over 10,000 different proteins are found and needed in the body for maintaining life. In fact, after water has been excluded 75 percent of your body weight consists of protein. Unlike carbohydrate and fat, the body does not generally store protein, thus it is essential in the diet. A high quality protein, AKA complete protein, contains all eight essential amino acids. A low quality or incomplete protein, on the other hand, is missing one or more of the essential amino acids. Complete proteins come from animal sources such as beef, poultry, fish, eggs etc., whereas incomplete proteins usually include fruits, vegetables, grains, and nuts. Being a vegetarian requires extra precaution and knowledge to consume a variety of protein sources to meet the body’s needs. Neither vegans nor vegetarians eat meat. However, while vegetarians tend to consume dairy products and eggs, vegan avoids all animal products, including eggs and dairy. The truth is… unprocessed, naturally fed meat is extremely healthy. Protein is an important nutrient for athletes because exercise breaks down muscle proteins, which require repair and restoration. Protein consumption does play an important role in the post exercise meal where it optimizes glycogen storage and promotes muscle repair and restoration. Then why are some people choosing Vegan? Meat has been given a bad reputation, in the past few decades; meat has been blamed for all sorts of Western diseases. The truth is… unprocessed, naturally fed meat is extremely healthy. High quality, unprocessed meat is among the most nutritious foods in the world. A 100 gram portion (3.5 ounces) of raw ground beef contains large amounts of Vitamin B12, B3 (Niacin), B6, Iron, Zinc, Selenium. 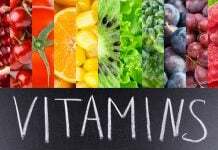 Vitamin B12 is particularly important because it cannot be obtain from plants. Studies show – vegans who don’t supplement with B12, 92%are deficient in this critical nutrient. Most of the creatine found in our bodies comes from the foods we eat. Unless you are a vegetarian, up to half of the creatine that is stored in your body can come from meat. Creatine forms an energy reserve in the muscles and brain and is found only in animal foods. Most of the creatine found in our bodies comes from the foods we eat. Unless you are a vegetarian, up to half of the creatine that is stored in your body can come from meat. Research shows that creatine is most effective in high-intensity training and explosive activities. This includes weight training and sports that require short bursts of effort, such as sprinting, football, and baseball Vegetarians who are deficient in Creatine, lead to reduced physical and mental performance. Pick up a weight and do a curl. That’s protein in action. Push off the edge of a pool to swim a lap, protein is working there, too. Every time your muscles contract, protein is hard at work transporting nutrients, repairing muscle, and more. Protein serves a number of functions in your body–from muscle contraction to formation of hormones and enzymes–and is one of three macronutrients (carbohydrates and fat are the other two) your body needs on a daily basis. Many types of tofu – especially “mock meats” – are really similar to processed deli meats and sausages. Fruits, vegetables, grains, and nuts are staples of both the vegan and vegetarian diets. Sometimes tofu is used as a replacement for meat-based products. Tofu is the occasional alternative protein source, especially for vegetarians, I say occasional because, it is a highly-processed food. Many types of tofu – especially “mock meats” – are really similar to processed deli meats and sausages. Of course, tofu comes from a bean and doesn’t contain antibiotics, added hormones and animal products, but its still – all together now – a processed food. In fact, I really don’t think tofu is much different from a slice of low-fat cheddar. Puts things in perspective, doesn’t it? There are athletes and bodybuilders in complete support of the vegan diet and encourage people to eat a healthy, plant-based diet for the good of their health and sport. There are athletes and bodybuilders in complete support of the vegan diet and encourage people to eat a healthy, plant-based diet for the good of their health and sport. It is clear there are many benefits of a Protein-Enriched Diet, and if you choose a vegan or vegetarian diet it is important to do your homework so you receive all the nutrients the body needs. 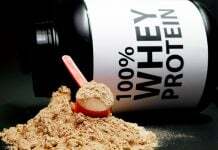 In the end the importance is receiving proper amount of protein for peak performance. Advance Sports Nutrition Specialist (ASNS) and Certified Navy Seal Fitness Instructor.